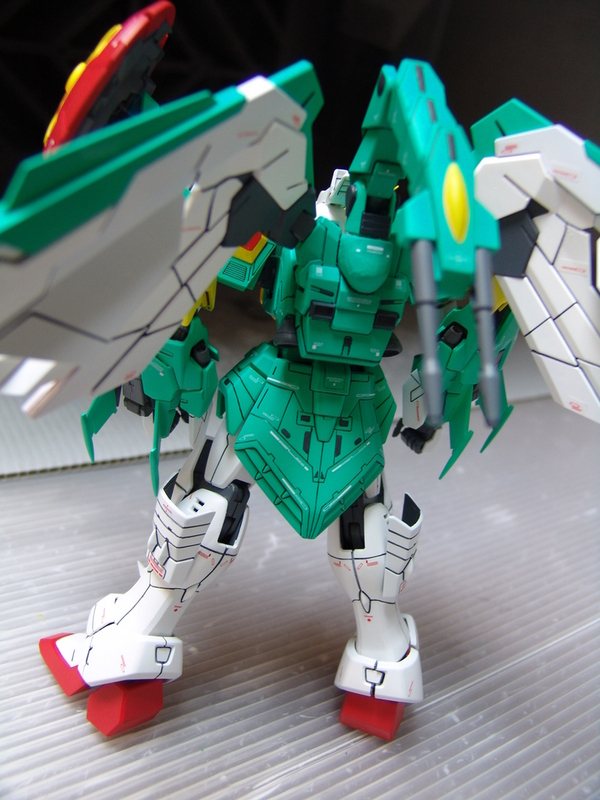 KITS USED: MG 1/100 Shenlong Gundam, 1/100 Altron Gundam, MG 1/100 Wing Gundam EW ver. 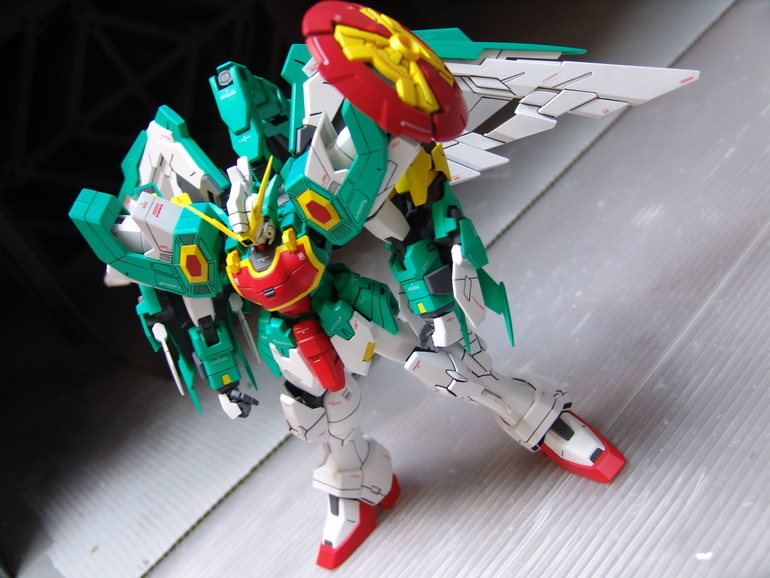 For those wondering about the use of the wings on Altron, gundam wing mobile suits can be a little confusing. Especially when considering hero mechs. Suits like Heavyarms and Sandrock changed very little throughout the tv series and their appearances later in the ova movie are pretty much the same, albeit with a different colour scheme and some minor equipment changes. The other 3 are radically different. The most famous being Wing Zero. At no point was it explained why or how Wing Zero gained angelic wings, nor how it lost its ability to transform. There was also a scene in the ova recapping the final events of the tv series where Wing Zero shoots down the remnants of the battleship libra to protect the earth. Except they show it as the endless waltz version, not the tv series version. Deathscythe didn't originally have bat wings, and there's even a scene depicting this version which allegedly takes place before the events of the tv series, which would be impossible, since in the tv series, Deathscythe didn't obtain its cloak until after it was destroyed and rebuilt. And finally, Altron. For me this has always caused much confusion, as Wufei is always calling it Nataku, even after it changes. Turns out that's the name of his dead wife, whom he believes spiritually inhabits his mobile suit. 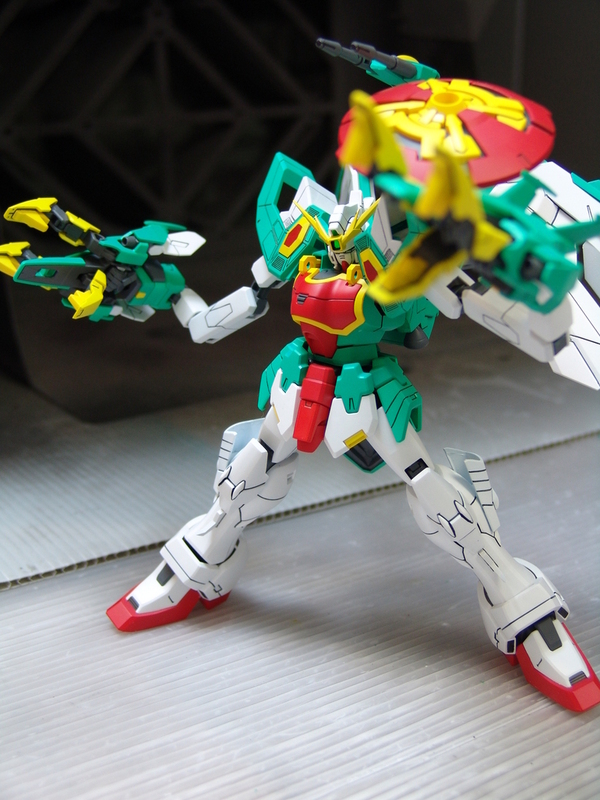 At the same time in the tv series where Duo receives his rebuilt Deathscythe, Wufei gets his new Altron. Originally it was depicted much like the model seen here. It had retractable arms that fold away into the shoulder armour, the dragon heads on the fists and a backpack featuring another head and small wings. These features were heavily altered for the ova. The retractable arms were changed to red chain link sections that fold away into the dragon fists and the back pack was removed entirely. Endless Waltz is like Zeta New Translation, new content that connects but have changes to match the new content. EW designs in terms of being canon were featured in the retelling manga: Glory of Losers. As for why Zero has angel wings is because in GoL, they were added to Talgeese, then Heero added them to the proto-zero after it was damaged against Libra. It can technically still transform but doesn't due to lacking a shield at some point before EW events happen, the Hi-res model and manga features the shield with transformation. It was all in after thought they tried to explain it though. Imagine all of the scenes from the TV version and replace them with newer designs. Thats what Glory of the Losers is. 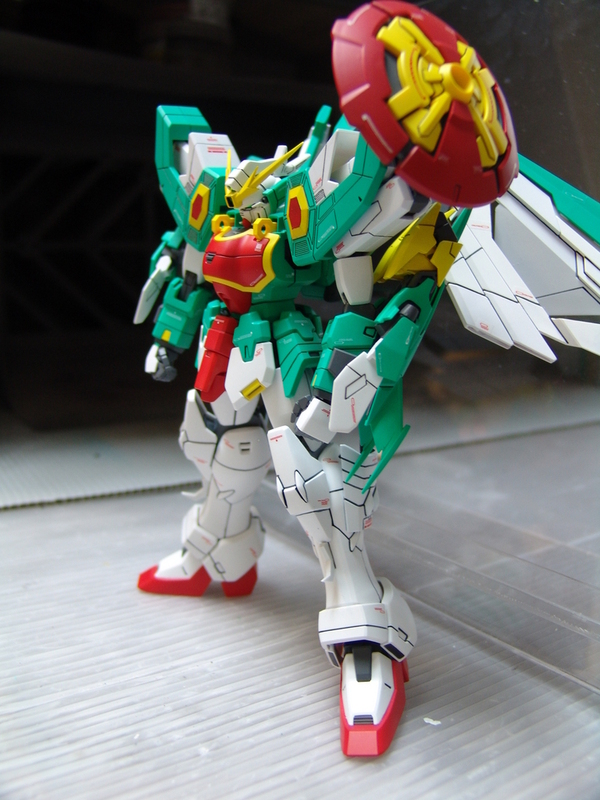 The Wing Zero Custom was made after the Proto Zero was severly damage in the battle with Deathscythe Hell. Zechs and Howard found it floating in space in the Peacemillion and repaired it. The Angel Wings were originally on the Tallgeese Flugel and they decided to give it to the proto zero. 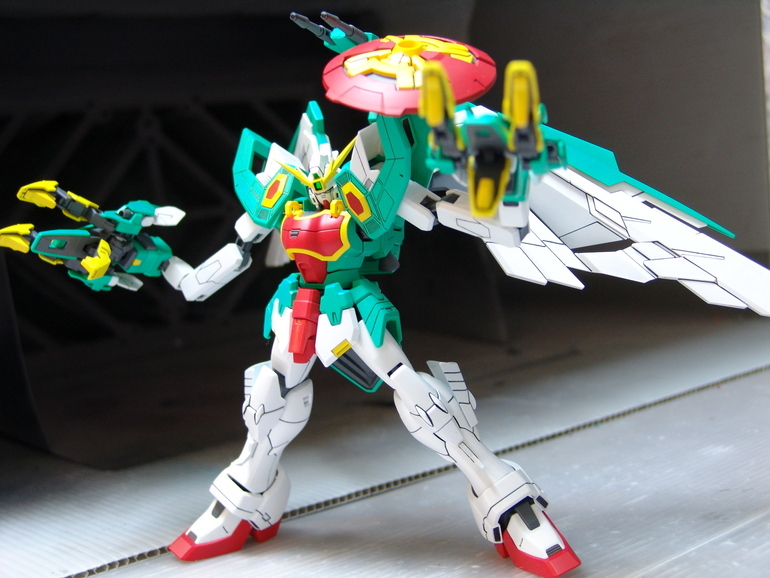 Like the TV version, Zechs descended onto Earth with the new Wing Zero Custom in bird mode and faced Heero when he was still piloting the Epyon and going mad. 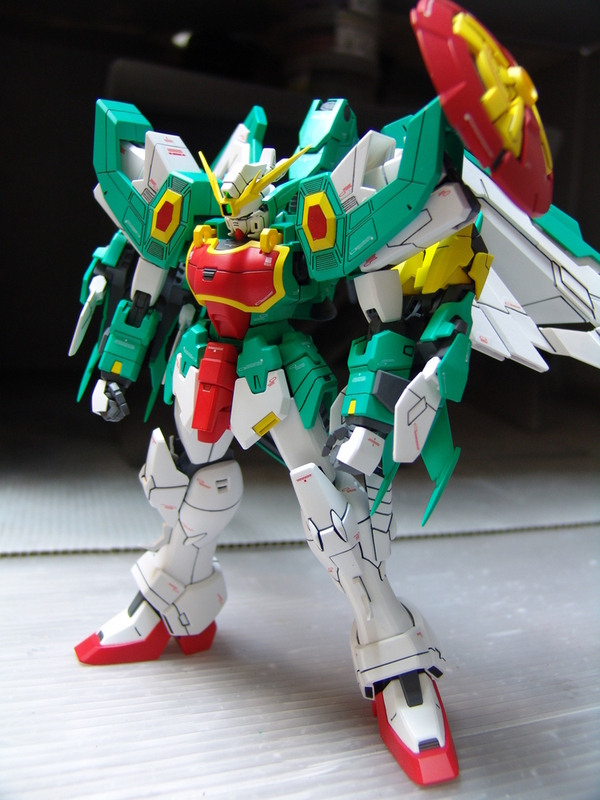 Just want to ask where to buy this kind of Altron Gundam? 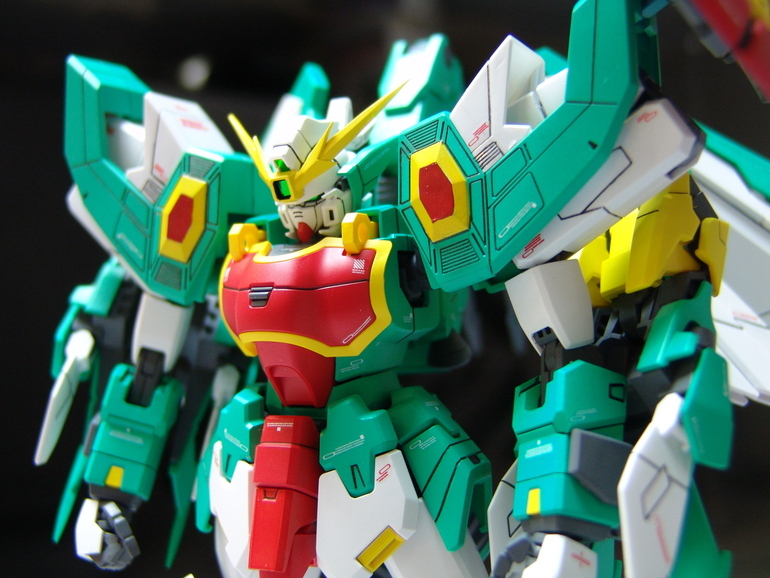 You can buy the old 1/100 HG now if you'd like. But a HGAC Altron is coming sometime since they made the Jiyan Altron for Divers, many of the runners are marked HGAC Altron in Japanese.